You are invited to attend our 5th annual Veterans’ Day Program, where we honor our military. During the assembly, we play a slideshow of JBB family members who are veterans or current military service men and women. 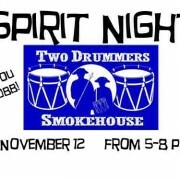 All families are welcome. 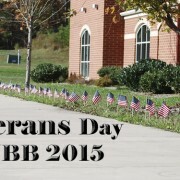 https://wjccschools.org/jbb/wp-content/uploads/sites/10/2015/11/veterans-day1.jpg 375 710 Jennifer Kimbrough https://wjccschools.org/jbb/wp-content/uploads/sites/10/2014/05/logo.png Jennifer Kimbrough2015-11-09 14:08:452015-11-18 11:29:54Thank You Veterans! 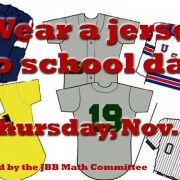 https://wjccschools.org/jbb/wp-content/uploads/sites/10/2015/11/jersey-day1.jpg 375 710 Jennifer Kimbrough https://wjccschools.org/jbb/wp-content/uploads/sites/10/2014/05/logo.png Jennifer Kimbrough2015-11-09 13:51:062015-11-15 13:51:17Nov. 12 Jersey Day! 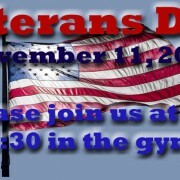 Please join us at the PTA meeting after the Veterans Day Celebration. 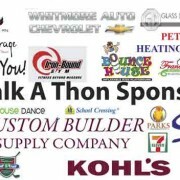 https://wjccschools.org/jbb/wp-content/uploads/sites/10/2015/11/walkathon-sponsers.jpg 352 710 Jennifer Kimbrough https://wjccschools.org/jbb/wp-content/uploads/sites/10/2014/05/logo.png Jennifer Kimbrough2015-11-02 11:14:412015-12-20 11:13:03Thanks for your support!